The medical term used to describe excessive sweating is called hyperhidrosis. Hyperhidrosis can especially be felt in the armpits, palms and soles of feet. This condition not only leads to embarrassment in social circles but also stress and anxiety. There are surgeries and medications to treat hyperhidrosis, but natural remedies are recommended, that are easy to apply, sans side effects and cost effective. 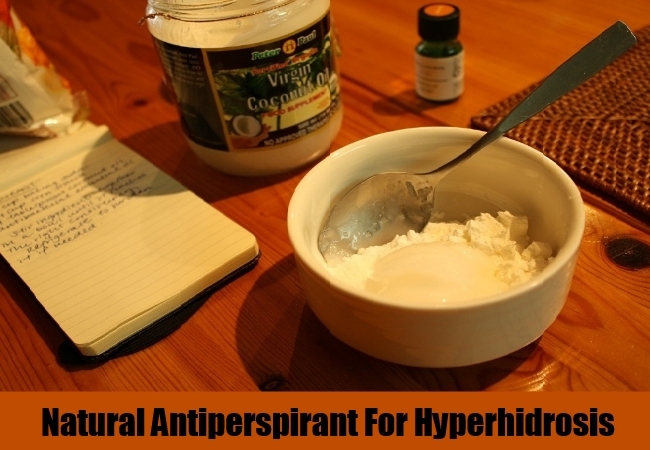 Read on to know natural cures for hyperhidrosis. Spare 15 minutes each day to meditate. Watch your posture and surroundings when you meditate. Sit in a straight but relaxed position and choose a quiet room for meditation. Try to concentrate on pleasant thoughts as you meditate, rather than thinking about daily work. Excessive sweating within a month of practicing daily meditation. Prepare fresh tomato juice without adding any additives like sugar or spices. Dilute with filter water if it is too thick and consume in empty stomach for a month to cure hyperhidrosis naturally. Commercial antiperspirants should be avoided as they contain chemicals that may sometimes induce more sweating in hyperhidrosis patients. Prepare your own natural antiperspirant using two tablespoons of alum, three drops of tea tree oil, five drops of lavender oil, a quarter spoon of cornstarch and baking soda each and a small amount of coconut oil. Mix all the ingredients and put them in an antiperspirant container as they solidify. Keep in heated surroundings so that the contents melt and you can use it as a spray. The extracts of sage may be brewed as tea for consumption or mixed with water for application in areas that sweat excessively. Chamomile petals can be mixed with sage to cure hyperhidrosis faster and more effectively.Bring a teaspoon of sage leaves and half a teaspoon of chamomile petals to boil in one cup of water. Drink this lukewarm liquid or apply the cooled liquid on areas which sweat too much to fight hyperhidrosis. Mix apple cider vinegar and white vinegar in equal proportions while diluting it with water. Drink this liquid three times daily after meals. You can also wet cotton balls in this liquid and dab them against the area that sweats the most. 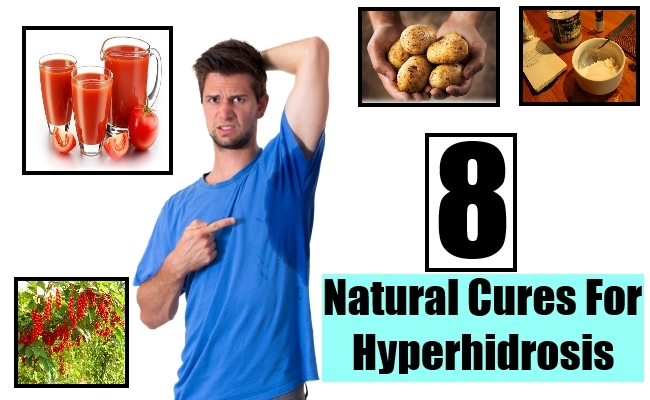 Slices of this vegetable can be cut and the juice rubbed in the underarms or other areas that sweat profusely for best results against hyperhidrosis.You can also place slices of potato on skin and bandage them with a clean cotton cloth for the juice to seep into the skin and cure hyperhidrosis. This rare plant has antibacterial properties and thus helps in killing germs that settle on the skin surface upon sweating and cause emanating of foul smells. Extracts of this plant if applied on skin will increase the production of natural fluids in the body and reduce spontaneous perspiration. The astringent properties of this plant make it one of the most popular natural antiperspirants.Rubbing the extracts of witch hazel on armpits and feet soles or consuming a warm beverage made from the plant and tea will help cure hyperhidrosis within few weeks.